1. Melt butter in medium skillet over medium-high heat. 2. Sprinkle chicken with salt and pepper. Add to skillet and cook until golden, 5 minutes per side. Transfer chicken to plate. 3. Add shallots to skillet and sauté about 1 minute. Add vinegar, boiling until reduced to a glaze about 2 minutes. Stir in broth. 4. 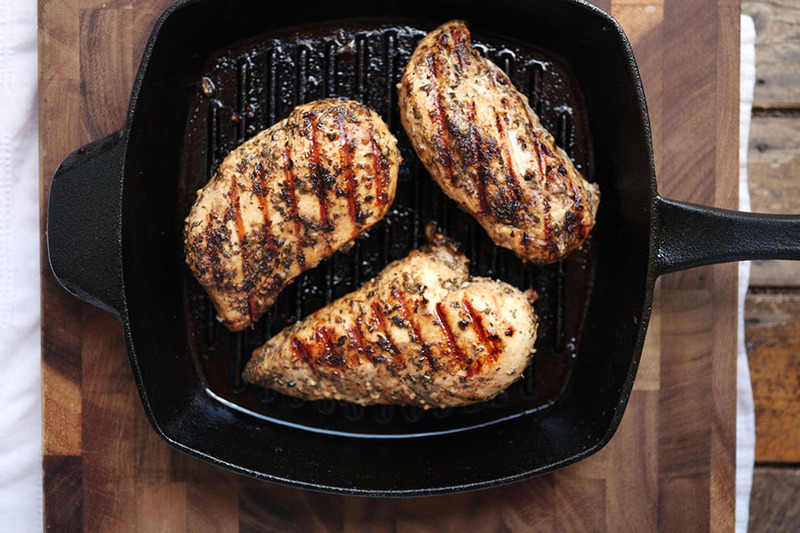 Return chicken to skillet, skin side up. Reduce heat to low, cover and simmer until cooked through – about 10-12 minutes. 5. Using tongs, transfer chicken to plate. Add chopped tarragon to liquid in skillet increasing heat to medium. Boil uncovered until liquid is reduced, about 1 minute. Spoon sauce over chicken and serve.